From today's EMiniPlayer.net Trade Plan: Overnight, Responsive Buyers were active at the 1370-1372 Support Zone, and pushed ES through the 1375.75-1377.75 Resistance, signaling Buyer strength. Heading into the day session, we have Pre-Market Support at 1375.25-1377.25, followed by the previous Close at 1372.50 and Initial Support at 1370-1372. 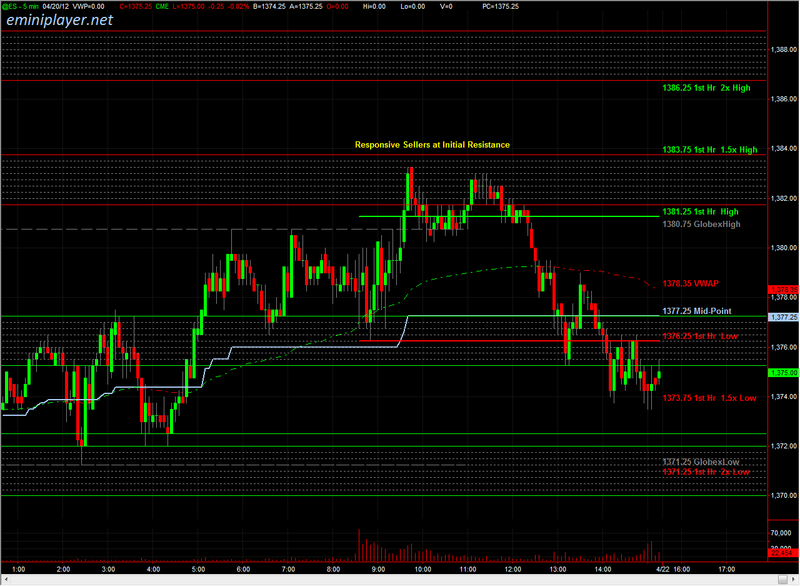 On the upside, we have Initial Resistance at 1381.75-1383.75, followed by 1386.75-1388.75. Being a Friday with no economic catalysts, there's a high probability of a Balanced session with Responsive Buyers active at Support and Responsive Sellers active at Resistance. We'll be using 1370-1372 Initial Support as the Bull/Bear Zone to establish directional bias. Unless we get an Open Drive to the upside, I expect Responsive Sellers to be active off the open, pushing for a test of the previous VPOC at 1376.75 and potentially the gap fill at 1372.50. I expect Responsive Buyers there and at Initial Support. 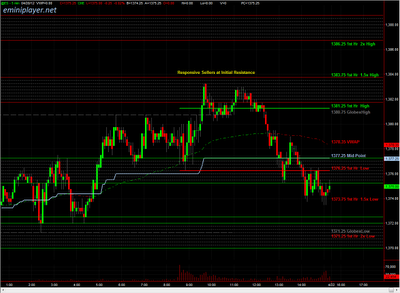 Holding above Pre-Market Support would indicate strong buyers and bring the 1386.75-1388.75 Zone into play.